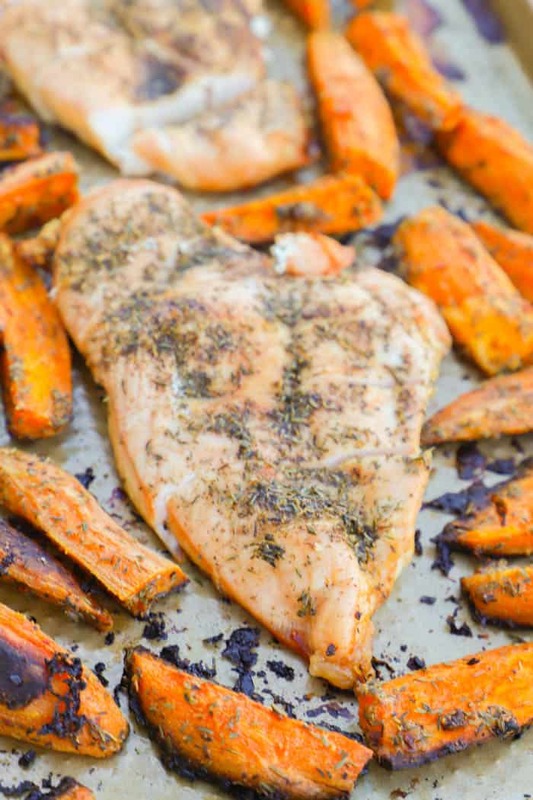 This One Pan Chicken and Sweet Potato Bake are sweet and savory and the perfect dinner idea or meal prep to quick lunches all week. NO matter how you serve it you are doing to love this simple recipe. Fewer dishes is always a win for me. I love simple recipes that take little work. 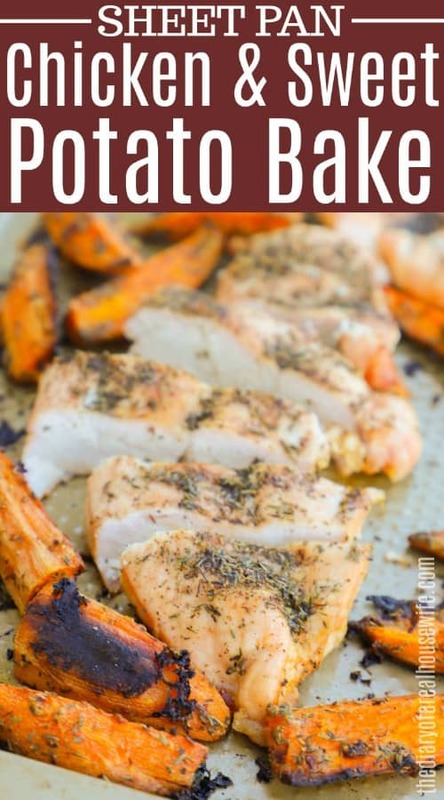 This One Pan Chicken and Sweet Potato Bake has been a favorite of mine for years. Just toss it all onto a baking sheet and season. Once it’s baked it’s time to serve. You can serve this for dinner or it also makes the perfect meal prep dish. Bake it and then pack it up for 4 or 5 separate meals. I usually serve it with a salad or some roasted Brussel sprouts. Step one: Preheat oven and then prepare your baking sheet with nonstick cooking spray and set aside. Step two: For this recipe, I used a thinly sliced chicken breast so it would cook evenly with my sweet potatoes. If you don’t have thinly sliced chicken breast then pound your chicken breast to be thinner. Step three: Next place your chicken on your prepared baking sheet. 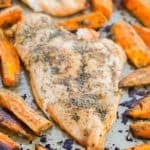 Peel and slice sweet potatoes and place on your baking sheet with your chicken. Step four: In a small mixing bowl mix together olive oil with the seasoning. Drizzle this over chicken and sweet potatoes. Bake for 30-35 minutes or until chicken is cooked through and potatoes are tender. Bake your chicken at 375 degrees F for 30-35 minutes. If you have a larger chicken breast you might need to add some time. Check the temperature before serving. 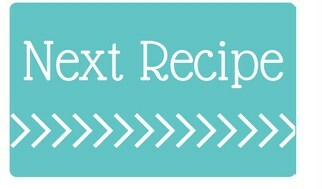 Preheat oven to 375 degrees F. Prepare a baking sheet with nonstick cooking spray and set aside. *If you don't have thinly sliced chicken breast then pound your chicken breast to be thinner. Place chicken on your prepared baking sheet. 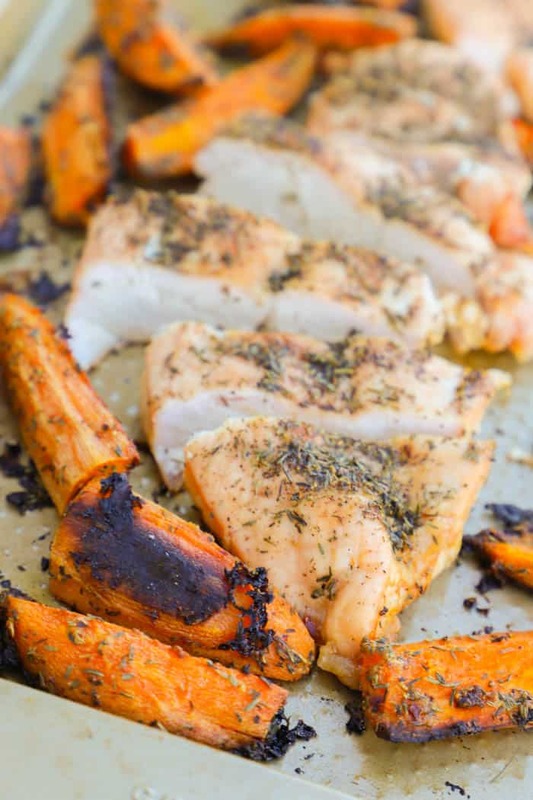 Peel and slice sweet potatoes and place on your baking sheet with your chicken. In a small mixing bowl mix together olive oil with the seasoning. Drizzle this over chicken and sweet potatoes. Bake for 30-35 minutes or until chicken is cooked through and potatoes are tender.